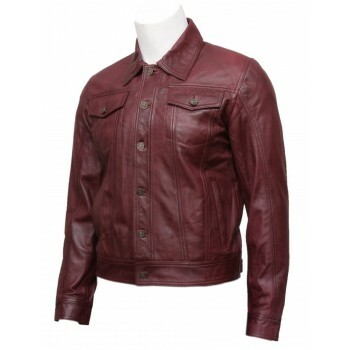 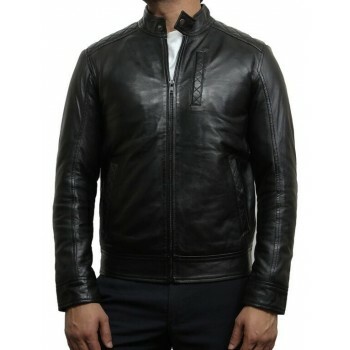 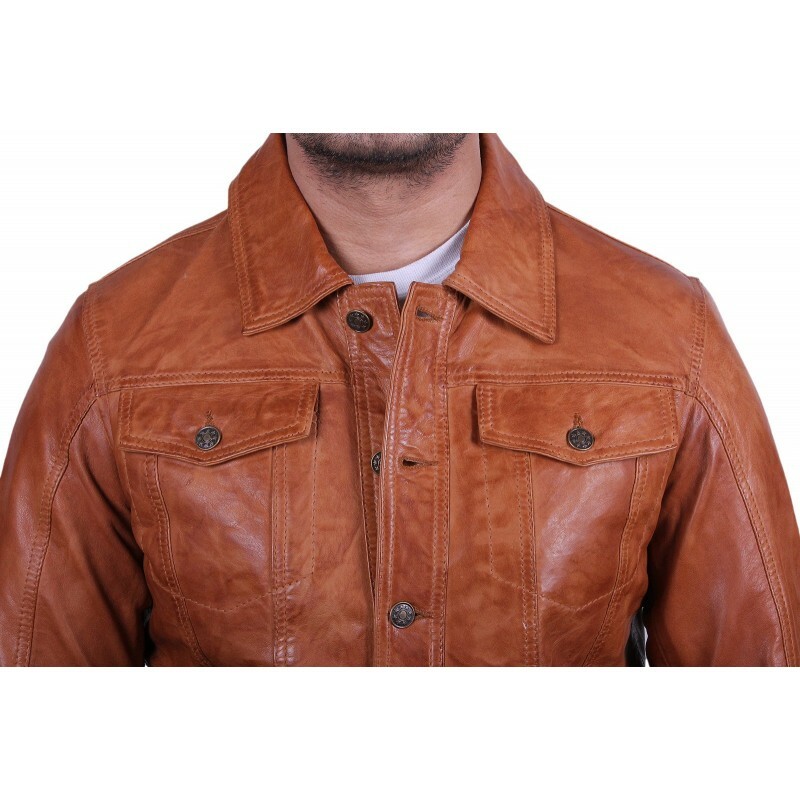 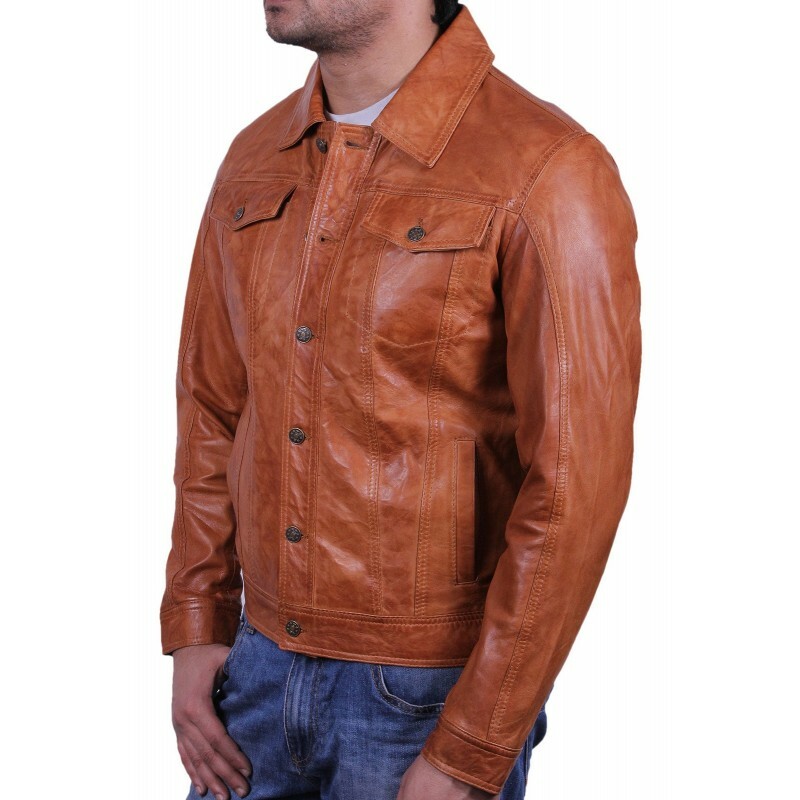 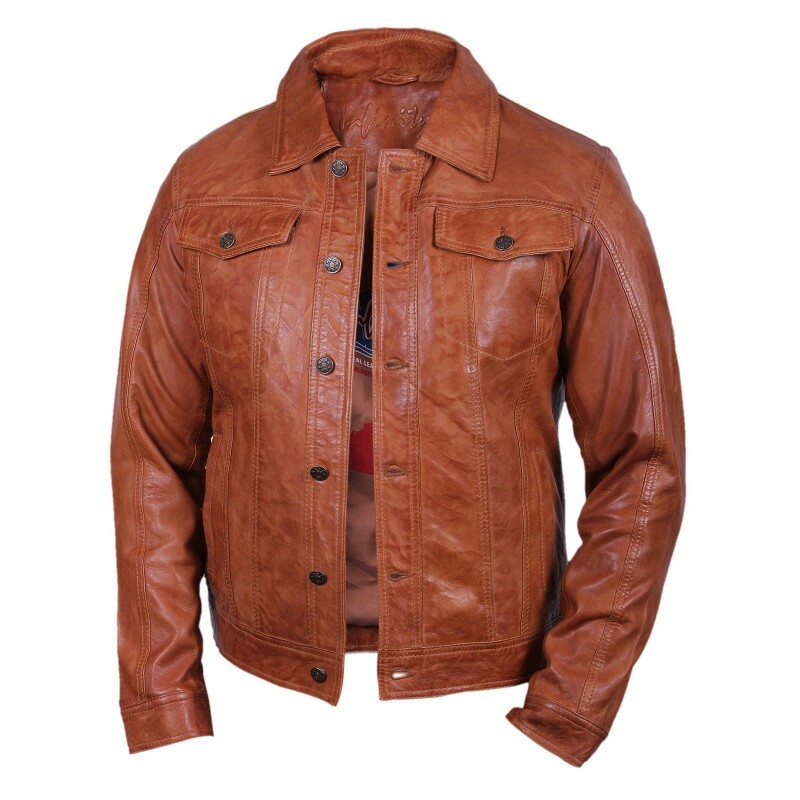 Gentleman's denim style leather jacket in soft nappa. 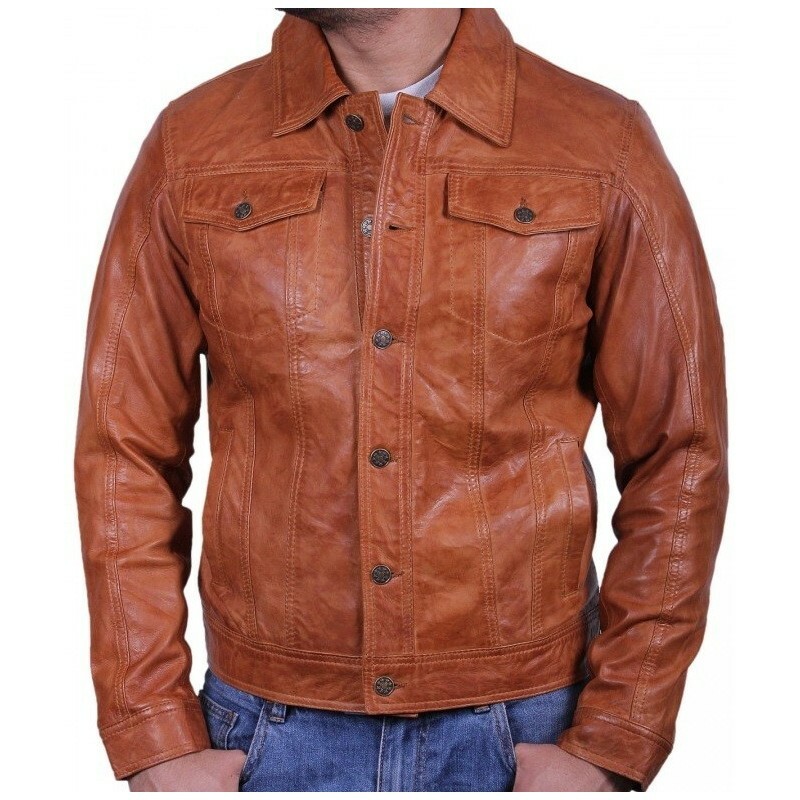 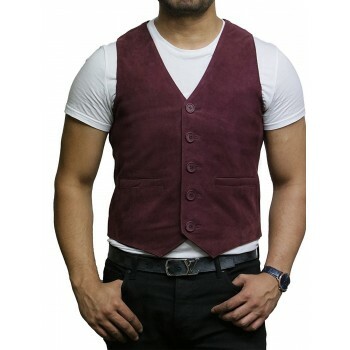 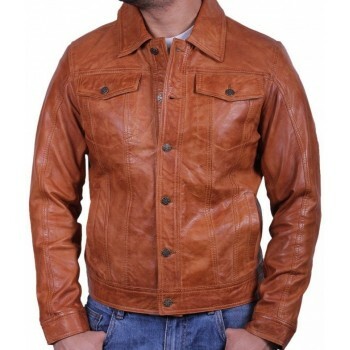 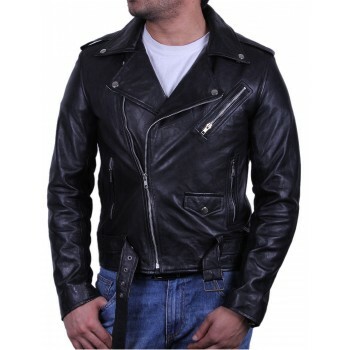 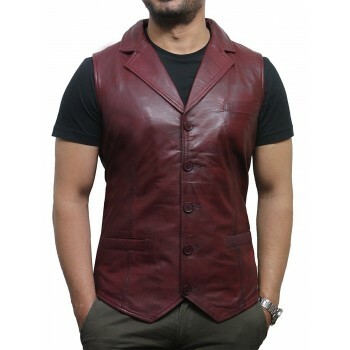 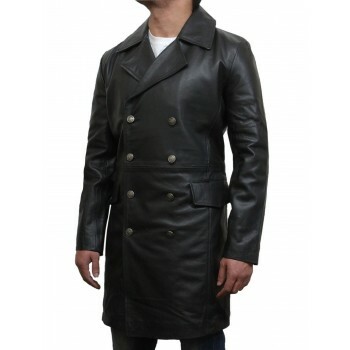 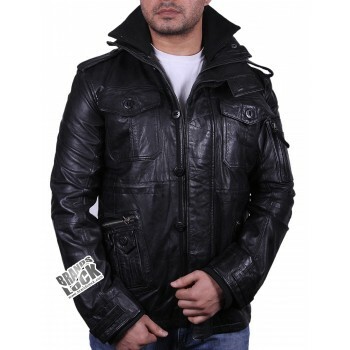 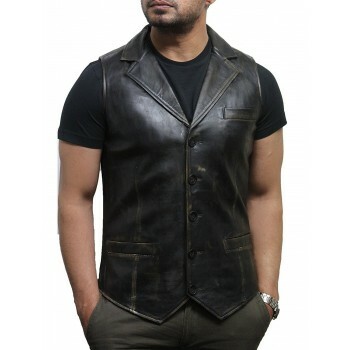 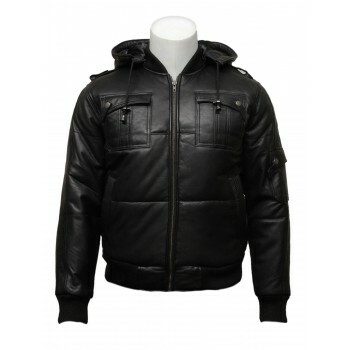 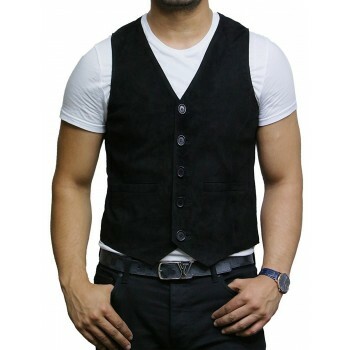 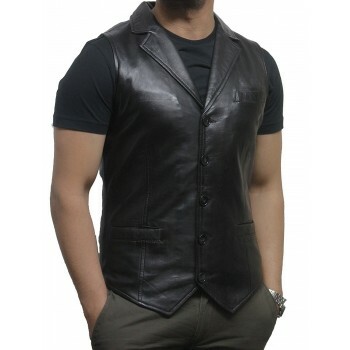 Most favorite and attractive style since ages now available in leather with detailed stitching for added designer look. 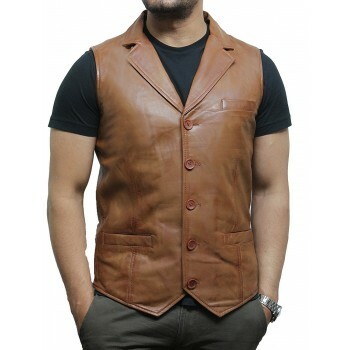 Highest quality lamp nappa with dual seam stitching for added designer look in soft and elegant finish. 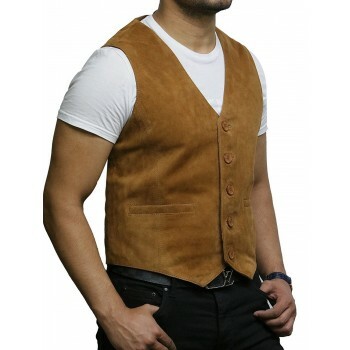 Patch pockets on the upper chest with a button and 2 vertical slo pockets on the waist. 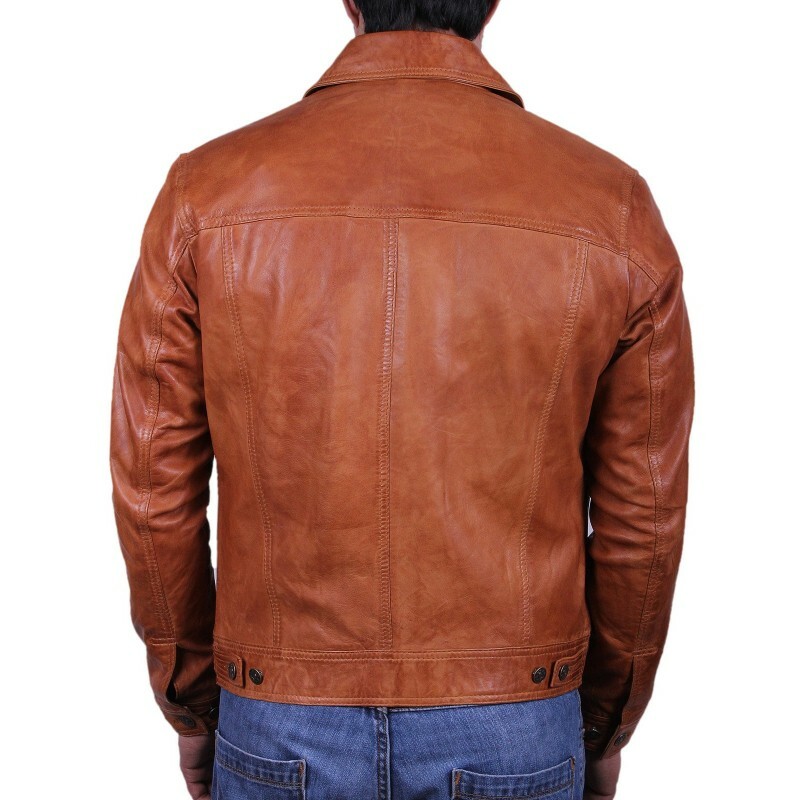 Double buttoned cuffs on the sleeves for length adjustment option. 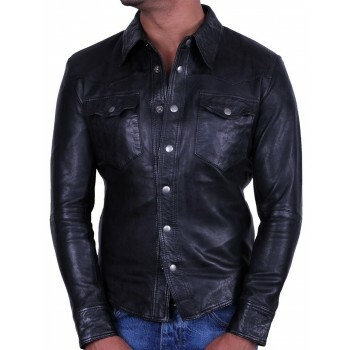 Dual buttoned pressing to the rear for lower waist adjustments. 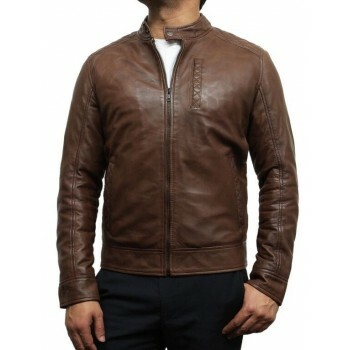 Detailed stitching through out the jacket, proper shirt style collar. 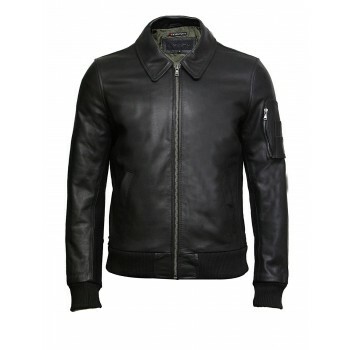 Satin lining inside with leather slot and pouch pocket.